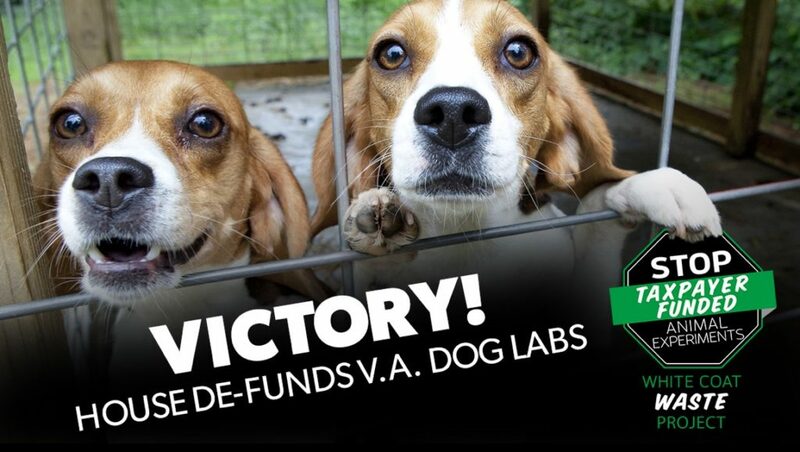 Just two days after yet another Department of Veterans Affairs (VA) whistleblower came forward with evidence of dog abuse and waste in a VA dog laboratory, Congress has unanimously passed a WCW-supported bipartisan amendment that defunds painful taxpayer-funded dog experiments at the VA. The amendment is part of a federal spending package that is expected to pass the House this week. The bill will then be taken up by the Senate. The Washington Examiner, Daily Caller, WRIC, Virginia Public Radio, and others covered the big development. 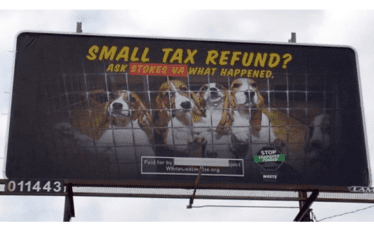 The defund amendment–which was prompted by WCW’s exposés of VA dog labs in Cleveland, Los Angeles, Milwaukee, and Richmond–was introduced by Reps. Dave Brat (R-VA) and Dina Titus (D-NV) and was co-sponsored by Reps. Ro Khanna (D-CA), Ted Lieu (D-CA), Brian Mast (R-FL) and Ted Poe (R-TX). We applaud Reps. Brat and Titus and the House of Representatives for taking bold, bipartisan action to defund nightmarish dog abuse and restore accountability at the VA. Liberty-lovers, animal-lovers, soldiers and veterans across the country are sick and tired of being forced to pay for painful, noncompliant and wasteful VA experiments on puppies that were exposed by White Coat Waste Project. We’ll continue working with Congress to get this bill to the President’s desk and to pass the PUPPERS Act to end the VA’s painful taxpayer-funded dog experiments for good. The amendment language–which if signed into law would apply for 2018–is similar to the PUPPERS Act, a bipartisan standalone Reps. Brat and Titus introduced earlier this month to permanently end taxpayer-funded dog experiments at the VA.
Now that the House of Representatives has voted to defund VA dog experiments, urge your Congress members to support the PUPPERS Act to permanently end taxpayer funding for painful dog experiments at the V.A. Click below to send a personalized email. Please support PUPPERS Act! Help us end these wasteful, painful and unnecessary experiments. Please use my tax dollars to help Veterans in a meaningful, not harmful way. Thank you for your support in doing the right thing! Please defund these wasteful, pointless and cruel experiments. NO REDEEMING VALUE!!!! Useless!!! Antiquated!!! Not applicable to humans. No one wants innocent animals experimented on! SO abusive, barbaric and inhumane. TOTAL SUPER WASTE OF TAXPAYER DOLLARS!!! BARBARIC!!! USELESS!!! ANTIQUATED!!! WASTEFUL USE OF TAXPAYER DOLLARS!!! PLEASE STOP THE MADNESS! EXPERIMENT ON YOURSELF AND SEE HOW IT FEELS YOU EVIL THINGS!!!! Close down cruel dog experiments, but please keep and ad to very much needed V.A. patient Service dog / Therapy dog assistance programs for veterans across the country. Please help this bill to become law. We are wasting our time experimenting on animals. And we are being cruel when we do so. thanks. Best news I have heard all year. God bless our Congress. ALL animal testing, at tax payer expense, needs to be stopped ! Thank you! Thank goodness we are finally getting somewhere on this despicable practice! Bipartisan work. Bravo. Proves positive hunane action, and all are applauded. 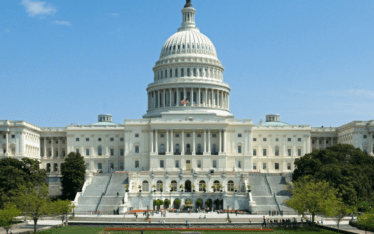 Congress: stop judgement on transgenders, women, and ethnicities. Focus on humane actions to all life, and climate control, clean water and air, and our natural resources. There is no need to do these archaic experiments on animals. 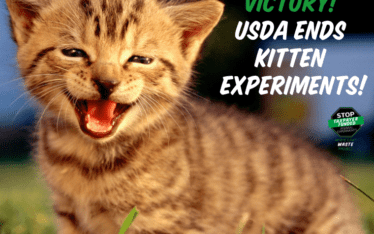 So many medical schools have stopped using animals and are using alternative methods. Animals used in experiments are not humans and the outcomes are not reliable. Using animals to determine outcomes in human species is archaic and not necessary. I am wondering about the mental health of those researchers who still enjoy inflicting pain on others. Science has reported that animals experience the same physical pain and emotional pain as humans feel. One only has to look at the eyes of these creatures to gauge the torture they are experiencing. If these individuals involved in this research have not yet been educated on recent neurological findings regarding emotions in the mammalian species, they have no business being in this field, let alone, contributing to science. This is beyond ignorant, and a waste of taxpayers money. I am so angry at our government. Also, the letter that we are asked to sign does not address the real science behind why this type of science is barbaric and way behind the times. These individuals performing the experiments can not be true scientists, but perhaps psychopaths because they are unable to perceive the emotions these poor creatures are trying to convey. PLEASE! Support the PUPPERS Act, bi-partisan effort to eliminate inhumane, unnecessary and financially wasteful animal experimentation by the VA.
As a Viet Nam era decorated Army veteran I am ashamed to see the military continues to WASTE our tax payer money supporting the worst type of animal cruelty by still doing failed and needless experiments on animals whose results DO NOT transfer over to humans which we learned so long ago. STOP this barbaric animal torture and put OUR tax dollars to work where they will accomplish proven results, unlike what is now being done on innocent animals whose only results is the death of the animals.